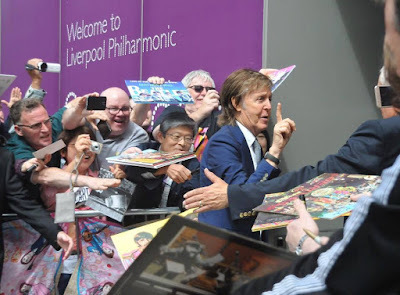 Meet the Beatles for Real: No autograph! Peace and Love! No autograph! Peace and Love! Here is Paul over the weekend at LIPA for the yearly ceremony. He came out of the car saying "No autographs" to the crowd gathered outside. However---that didn't mean much to them because see all of those albums and things? 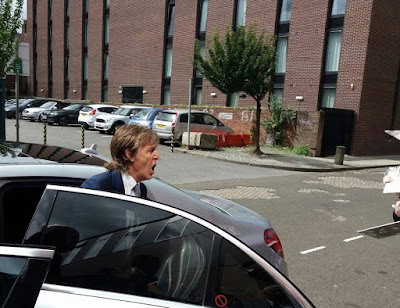 I don't blame Paul---it would have taken a long time to sign things. Peace and Love!